The Peaks is located off of the Sunday River Road and is a 67-lot subdivision. The neighborhood boasts some of the most commanding, panoramic Sunday River slope views in the area. It is located on the backside of Mt Will, a popular hiking trail (the trail head is off Route 2 just a short distance past the Sunday River Road). Many of the lots are conducive for walk-out daylight basements. 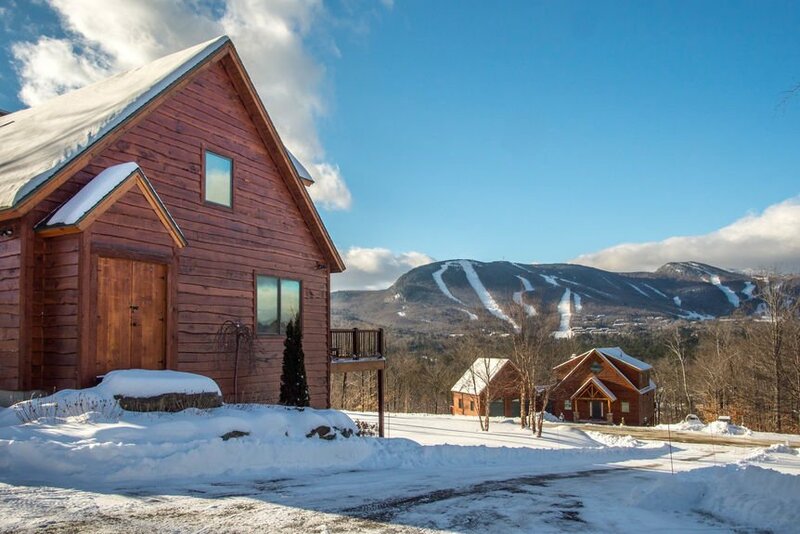 There are covenants for the neighborhood and many beautiful custom homes have been built in the past five to six years, which are highly visible from the top of Sunday River trails such as Right Stuff, T2 or White Heat. The roads are paved and maintained by the association and the neighborhood consists of several cul-de-sacs. The subdivision possesses a rugged beauty as significant ledge was blasted to create the road system and remnants of the ledge can be seen in the retaining walls built along the roadways. There are Covenants and Architectural Design Guidelines. Developed by the same group, the Peaks Village is comprised of 33 lots; many are half-acre but some are as large as three acres. Several lots share a common well. Many of the lots also have panoramic slope views and the utilities here are underground. In general, lots at Peaks Village are priced below the developer lots available at The Peaks, though the views can be as stunning. There are Covenants and Architectural Design Guidelines in place. There are lots in both the Peaks and Peaks Village that have access to the Sunday River. Property listings for The Peaks and Peaks Village.